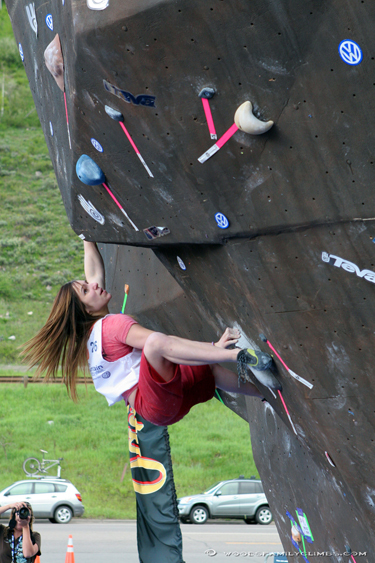 In addition to our amateur climbing competitions, the IFSC Bouldering World Cup will be hosted at the 2008 Teva Mountain Games! This is the first time the World Cup has been on U.S. soil for almost 20 years! For climbers, most of whom are used to practicing their sport in remote locations or competing in small-scale events, the Teva Mountain Games is almost a shock to the system. Climbing on the Mountain Games' massive wall does have its advantages; like national television exposure, thousands of fans to cheer you on and big CASH prizes.